24/7 ordering online of select items is always available! 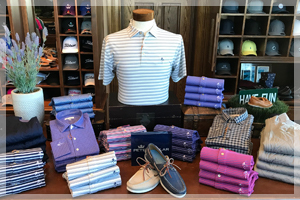 The Shops at Saratoga National now carry top brands in golf and men's fashion with the addition of The National Men's Shop now located in the Clubhouse! The National and The Golf Shop also offer select items and Gift Cards for purchase online 24/7. Stop by the Golf Shop for all the equipment, apparel and information you’ll need to fully enjoy Saratoga National. We also have select items available for ordering online 24/7. Cater to your sense of style on and off the golf course with a selection of top brands. 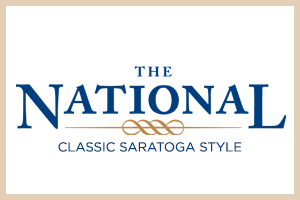 Enjoy classic Saratoga style and our famous customer service, now located at the Clubhouse!